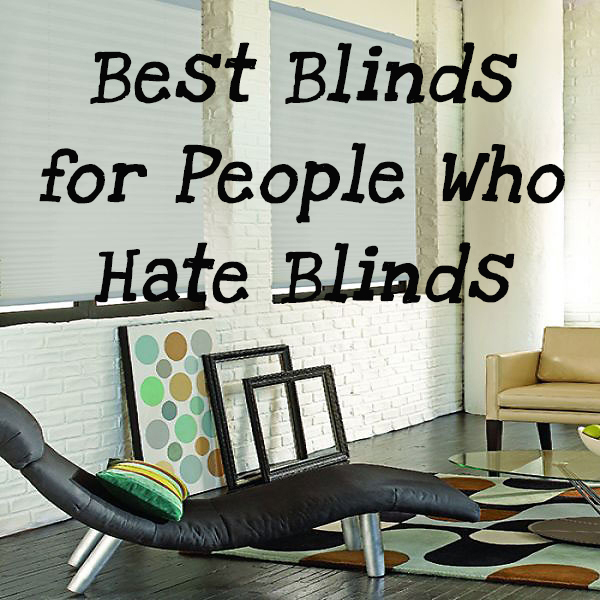 Yes, it’s true—there are many homeowners who simply dislike blinds and shades. At Blindster, we know that many people who are initially resistant to the idea of purchasing and installing window coverings in their homes is often due to a very limited experience with them—especially if they’re familiarity starts and ends with traditional vinyl blinds or dark roller shades from a bygone era of home décor. If you’re among the homeowners who prefer bare windows or curtains but you’re coming around to the idea of installing window coverings—or if you’re looking to convince your spouse or other family members that blinds and shades are the way to go—check out our list of the best window treatments for people who, well, hate window coverings! If you’re looking for shades that are as unobtrusive as possible, our light filtering sheer shades are the way to go. These shades block 99 percent of the sun’s UV rays while also allowing ample sunlight to enter your home. When turned into an open position, the shade lets in a beautifully diffused light due to two layers of soft, knitted fabric sheers. Choose from a wide variety of colors to fit your home’s décor, including Pearl, Wheat, Mocha, Goldenrod, Cocoa Bean, and Pumice. Real wood blinds bring a touch of elegance and timeless beauty to homes that many other types of window coverings can’t match. These distressed wood blinds utilize a rough, natural texture and a manufacturing process that prevents them from fading or warping. They’re also highly effective at insulating your home during the summer and winter. Six different colors are available to choose from, including Amber Ale, Tavern Oak, Vintage Cherry, Peppered Malbec, Aged Cognac, and Deep Merlot. If you like the look of wood blinds but aren’t a fan of natural materials, our 2 ½” Premium Faux Wood Blinds may be just what you’re looking for. These blinds provide all of the elegant beauty of natural wood blinds but with the benefit of more durable materials that are highly resistant to moisture. Just like the distressed wood blinds, these blinds are also resistant to warping and fading due to a special treatment during the manufacturing process. Bold color choices for these shades include Smooth Birch, Smooth Natural, and Smooth Cherry. While window treatments aren’t must-have purchases for everyone, being able to control the lighting in certain rooms, such as bedrooms, nurseries, and home offices, often is. If that’s the case with you or your spouse, our Premium Blackout Double Cellular Shades are more than suitable to get the job done. These shades block out 99 percent of sunlight and the sun’s UV rays, protecting your furniture and eliminating virtually all outside light. The double cellular manufacturing process also acts as a highly effective insulator, keeping warm air inside during the winter and hot air outside during the summer. 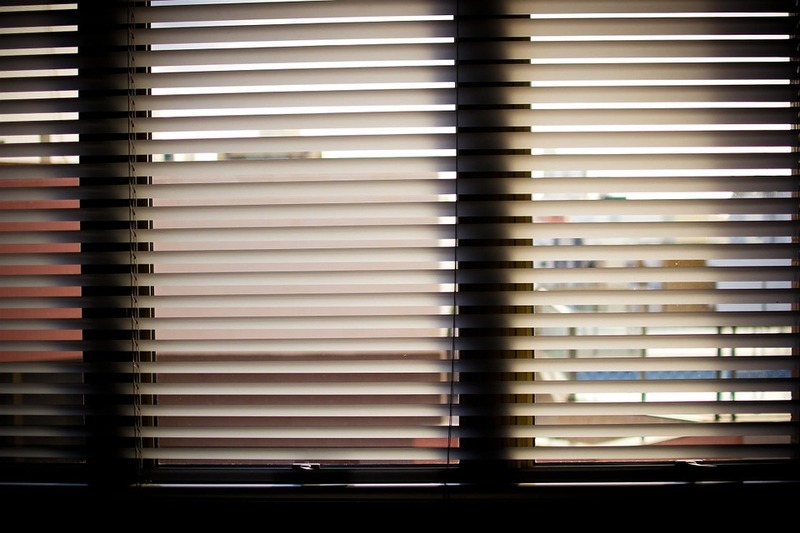 Whether you have a porch, deck, sunroom, or other outdoor area, you’ve probably experienced the problem of the sun making it difficult to see and enjoy your view at certain hours of the day. Our Deluxe Exterior Solar Shades 14% Open are “barely there,” meaning your view remains unobstructed but the glare and heat from the sun will be significantly reduced. In fact, this shade is capable of blocking 86 percent of the sun’s UV rays, extending the life of your outdoor furniture significantly and keeping your family safe from the harmful effects of the sun. Many homeowners dislike the limited functionality of shades and the appearance of long strings or cords. This shade uses a top down/bottom up function, which means it can be opened from the bottom and the top, giving you the ultimate versatility and control over privacy and natural sunlight. In addition, it’s also operated cordlessly, meaning no unsightly cords hanging that can detract from its appearance. If you’re not a huge fan of window coverings but you’re passionate about eco-friendly and natural décor, you should definitely check out our Premium Bamboo Woven Wood Shades Group D. This shade is manufactured using real bamboo, grass, and jute fabrics and is excellent at both light control and light filtering. You can also add optional liners for additional light blockage and privacy. Choose from a huge variety of colors and stains, including Sunset Gold, Riverwood Bronze, Harbor Mocha, and Rangoon Umber. Be sure to check out our full selection of options here! I think you have people like me pegged. I like having something to block out the sun, especially on the west side of my house. However, I don’t like having blinds. I just don’t like the way they look or dealing with the strings. So, I really like the idea of bottom up shades. How long do they normally last?